Karime Rios serves as a program coordinator for P4K’s middle school team. She primarily works with the 7th and 8th grade students at Marrs Middle Schools as well as P4K’s 9th grade students from South High. Her most favorite part of her job is helping her students plan for their futures. Karime is a recent transplant from Lexington, Nebraska, where she worked in after-school and migrant education programming for the Lexington Public Schools district. She earned her degree in physical education and Spanish-English translation from the University of Nebraska at Kearney. 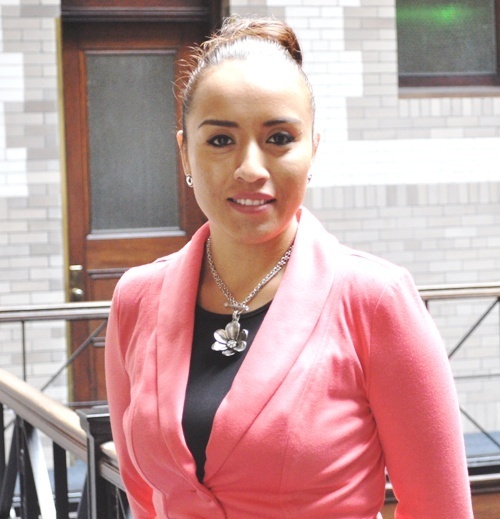 Karime has natural leadership skills and while in school she displayed her leadership abilities by co-founding Lambda Theta Nu Sorority, Inc., the first Latina-based sorority on the Kearny campus. When she isn’t working, Karime likes to stay fit, both mentally and physically. In her free time she loves hitting the gym for a great work-out, exploring the city with her kids, Kynna and Dannel and curling up with a great book.